Hello Allison, so where are you from and where are you at, geographically speaking? Allison: I was born and raised in Southeastern Wisconsin in the town of Elkhorn. It is near Lake Geneva, which is a popular and beautiful place to visit. I currently live in Tuscaloosa, Alabama and have been living here since 2006 when I took a job at the University of Alabama in the Department of Theatre and Dance. Allison: I was in the fourth grade and was cast in a short play as a singing flower–the experience was memorable as I loved to sing and I got to wear fluorescent face paint that would glow in the black light. We also had a performance at local nursing home for the elderly–that was a moving experience for me at a young age. What is it about performing that you love the most? Allison: The connections made by revealing the human condition. Allison: I think that theatre should reflect life and in that reflection, I want to feel something and learn something. If it makes me laugh or cry along the way then it held my attention and I was able to escape from my own realties for a while. That can be so refreshing. In your time you have performed at ancient theatres in Greece located at Argos and Spetses. Did you feel like you were communing with the spirits of your art? Allison: Yes, it was such a powerful experience and working in those ancient theatres was breathtaking. I felt a complete sense of being grounded, and the connections we made as a cast in The Trojan Women are something that I will never forget, and that was over twenty years ago. I think the Fringe is amazing and if I lived closer I think that I would have returned sooner. Allison: Hmmm, these are always the hardest questions for me. I would start with a light summer salad (spinach, corn, feta, watermelon), followed by seared salmon with a maple-mustard glaze and finish with a Key Lime Pie. My guest list would be: Georgia O’Keeffe, Lillian Hellman, and Joan of Arc. You’ve performed at the Fringe before, almost a decade ago; how did it go? Allison: Yes, I performed in 2009 and 2010 and it was a great experience, my show titled: Considering Georgia O’Keeffe, is based on the life and work of the artist. Quite a different show than Step Mama Drama!, my current show is much more personal. I think the Fringe is amazing and if I lived closer I think that I would have returned sooner. 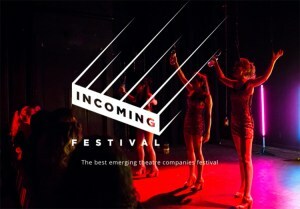 So, you’re bringing your show, STEP MAMA DRAMA!, to this year’s Fringe. Can you tell us about it? Allison: This show is inspired by my personal experience as stepmom and also includes monologues and moments shared by others who I interviewed for the project. My goal is to show various sides of this complex and often difficult relationship. I also spent time talking with stepchildren as well. When I told people about this show, many began to share their own perspectives on blended families. I listened closely and let them know that what they communicated to me could become part of my show. Allison: If you are a stepmom or have a stepmom, this show is a must-see! Allison: I will head back to the US for the fall semester at the University of Alabama where I teach in the Department of Theatre and Dance. Plans for my show include further development with composer, colleague, and friend Raphe Crystal to add an element of live music with plans to perform it in New York City in 2019. I would also like to develop the show further with an ensemble cast to show even more range and depth as I plan to continue to conduct interviews based on theme of the show. Posted on July 13, 2018, in Fringe 2018. Bookmark the permalink. 1 Comment.